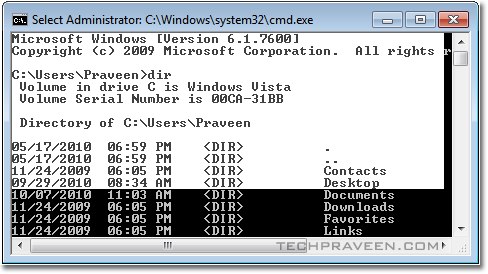 There are two ways to work in Window Operating System i.e GUI(Graphical USer Interface) and CUI(Command User Interface).In this post lets see the importance of Command Prompt and how to make it simpler to use.MS-DOS gives you complete control over what your computer does icon smile 5 Useful Command Prompt Tricks for Easy Operation . This is another cool feature of CMD Prompt.We usually type Cd(Change Dirtectory) command to navigate to different locations. 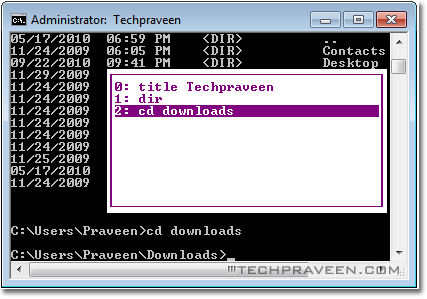 If you are lazy bug like me icon wink 5 Useful Command Prompt Tricks for Easy Operation simply drag folders into the command window and release it to automatically enter the path of the application. 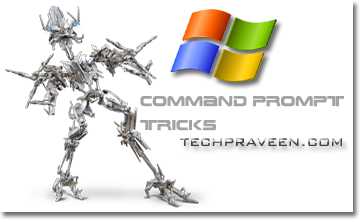 icon smile 5 Useful Command Prompt Tricks for Easy Operation Cool Isnâ€™t it? You canâ€™t simpley do Copy and Paste operation in CMD with Ctrl+C and Ctrl+V shortcut keys. You can however copy text from other applications, right click on the command prompt windows under Edit click Paste.